On Monday, Twitter announced that the app will be available in the Google Play Store for anyone in the following 45 countries: Algeria, Argentina, Bangladesh, Belarus, Bolivia, Brazil, Chile, Colombia, Costa Rica, Dominican Republic, Ecuador, Egypt, El Salvador, Ghana, Guatemala, Honduras, India, Indonesia, Israel, Jordan, Kazakhstan, Kenya, Lebanon, Malaysia, Mexico, Morocco, Nepal, Nicaragua, Nigeria, Panama, Paraguay, Peru, Philippines, Romania, Serbia, South Africa, Tanzania, Thailand, Tunisia, Turkey, Uganda, Ukraine, Uruguay, Venezuela, Yemen, and Zimbabwe. 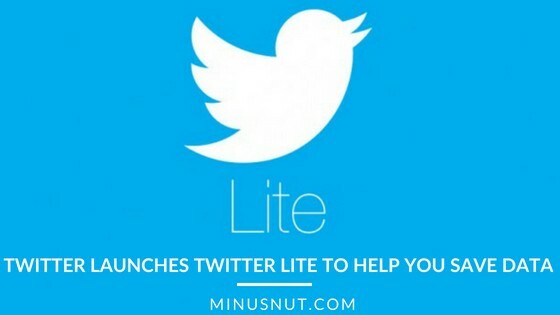 Twitter Lite is aimed at those faced with expensive data plans, slow mobile networks or little storage space on their device. Designed to launch 30% faster, the app also offers key features — timeline, tweets, direct messages, trends, profiles, media uploads, notifications — with quicker navigation. While smartphone adoption grew to 3.8 billion connections by the end of 2016, a vast number of smartphone users still rely on 2G — 40% of connections in 2017, according to the latest report from GSMA.